Matt Carcich of the Transcontinental reports on a unique School Orchards Program in Outback South Australia, promising multiple benefits for the coal mining town now working creatively towards the future. A community project in Leigh Creek may face a hurdle, but if its potential is untapped, the Far-North town will take a step in transitioning to a life after coal. 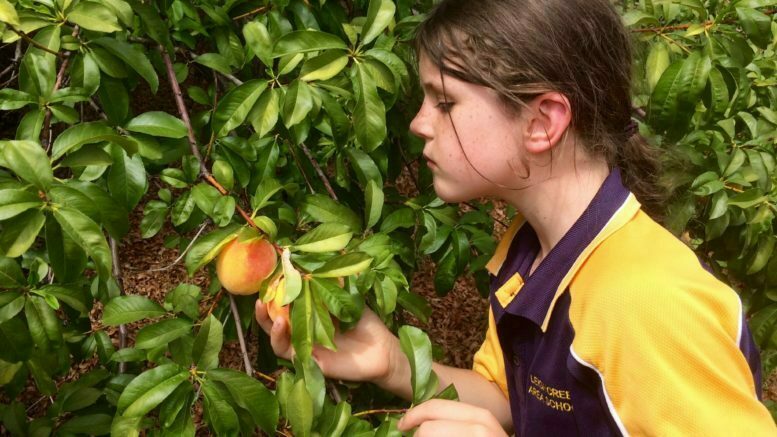 The Staying Alive – Leigh Creek Fruit Trees Community Initiative School Orchards Program, proposes to use 10 properties in Leigh Creek to help maintain over 70 fruit trees. This is a reduction from an estimated 280 trees that were planned in the original program. The ten properties sought for these projects require exclusive and unfettered access for the community to be able to continue the effort. The project hopes to incorporate Leigh Creek Area School students, the majority of whom are coming from surrounding communities with little or no food producing trees. Previously, community volunteers have been harvesting great quantities of healthy, organic, fresh fruit and delivering it to the school for distribution throughout the year. The proposed role of the school in this initiative would be to incorporate the School Orchards Program into the learning program for four classes, auspice funding for the project, and distribute fresh fruit. However, Spokesperson for the program, Nigel Carney said the Department of Planning, Transport and Infrastructure (DPTI) have said the 10 properties may not be available on account of pending lease applications. Nigel said this roadblock is, “Not good for a town that is working so hard to secure a vibrant and prosperous future to have leg irons placed on such wonderful and inspiration initiatives”. DPTI was contacted but a Outback Communities Authority Spokesperson (OCA), the body responsible for administration of Leigh Creek, provided the following statement when asked if the OCA supports this project. “This program was established prior to the OCA assuming administration of Leigh Creek,” the spokesperson said.